It usually takes a few bad losses to drive an NFL team to the point of undermining itself via anonymous pot shots in the press. The 1-1 Dolphins shouldn’t be at that juncture yet, but their Week 2 loss came at the hands of the Jaguars, which is basically like losing four games in one. It’s the kind of thing that can make people do crazy things, like running to the Miami Herald to tattle on big free-agent signing Ndamukong Suh. 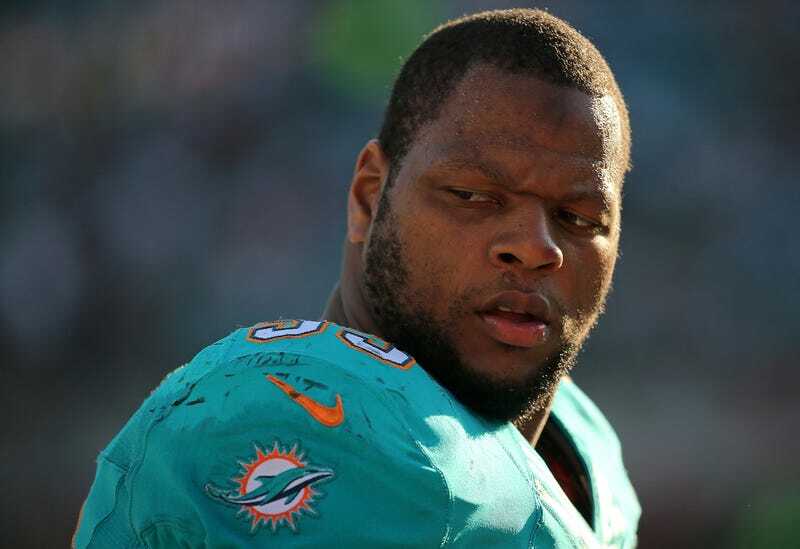 A big reason why: Suh, who for the second straight week was a nonfactor, strayed from Kevin Coyle’s script. The shock here isn’t that Suh might just be doing whatever the hell he wants out there, but that someone in the Dolphins organization, either a teammate or a coach, is already so sick of him that they are burning him in the press. If this stuff is already happening in Week 2, I can’t wait to see how Suh and the rest of the team are getting along when the team is 3-8 two months from now.